My mum did a bunch of craft short-courses in the seventies that were a good reflection of the trends at that time – KnitWit (sewing with stretch fabrics), make-your-own-moccasins (that one involved a lot of swearing if I recall correctly), macramé (she made a brown hanging basket holder) and lastly, make-your-own-lightshades. The plan with that was to make a pair of splendid bedside lamps. Unfortunately she ran of patience after the first one and so I ended up with the blue gingham and white pom-pom creation in my bedroom. 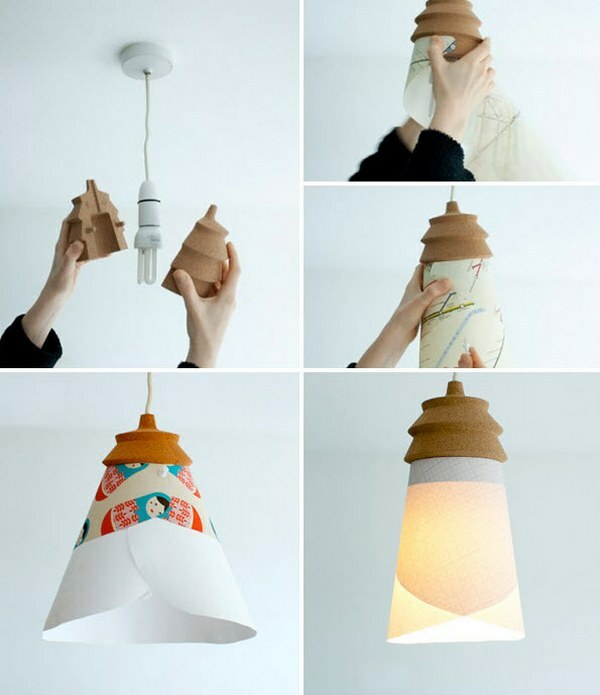 The new Pinha Lamp takes the effort out of creating your own lightshades. Light fixtures and lamps tend to be among the more expensive decor pieces in a room and not something that you replace on a whim. The Pinha Lamp, designed by Shay Alkalay and Yael Mer, changes that. 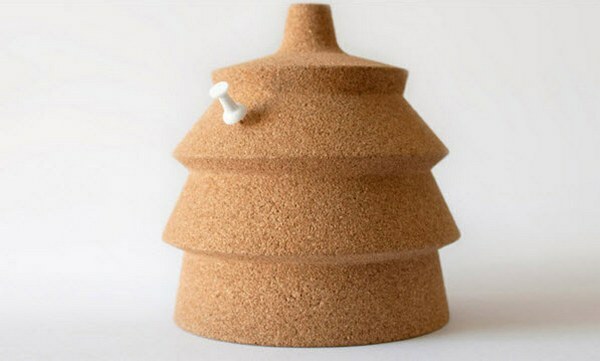 Created for the Bright Ideas Lighting Competition (where it placed third overall), the Pinha Lamp is made from a piece of cork that allows you to customise the lampshade with your own textile or piece of printed paper. The clever stepped design also allows you to change the shape of your lightshade. It would be terrific for a child’s room – from fairies to floral or trains to surfboards in an instant. The Pinha Lamp is a concept piece at this stage but stay tuned – an idea this good is bound to go into production.